It’s the most critical click your potential client will ever make. No, it’s not the click that brings them to your website—although that’s important. No, it’s definitely not the click to your social media. 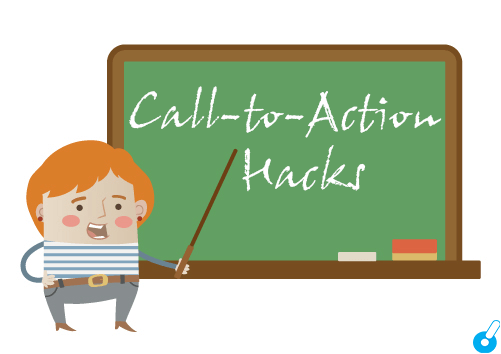 It’s the click into your call-to-action (CTA) button. Your CTA button has the potential to turn an anonymous web visitor into a tangible lead—ideally someone who’s qualified and interested in learning more about your services. A CTA can be anything from an invitation to try out a “home affordability calculator” to a sign-up for “new listing updates by email” or a simple monthly email newsletter. 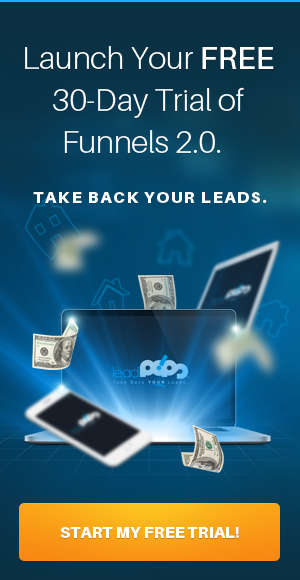 Unless you incentivize potential leads to click on it, you’re not going to get the leads you want. None of the other items on this list are going to matter unless the button itself looks good and stands out. But “looks good” is kind of a vague term. Let’s define it. Even zoomed out, there’s no doubt where the page wants you to click. It’s that bright, contrasting color that stands out from the rest of the design. There is a lot more that goes into this CTA than just the color and appearance, true. But at the most basic level, you want to achieve a distinctive, interesting CTA button that draws the eye. Remember: the CTA is perhaps the most important element on your page. That means you’re going to want to treat it that way. Above the fold: Don’t make your users scroll down to find your CTA. Hook them in by putting it “above the fold,” which is another way of saying putting it front and center, some place where you see the button right away. You’d be surprised how many users you can lose as you make them keep scrolling down. Notice how the button contrasts with the overall palette surrounding it. It doesn’t stick out like a sore thumb—that is to say, it’s not an eyesore. But it does make its presence known even if you didn’t see the words that accompany the CTA. Don’t plop the CTA somewhere with a lot of different elements on your page. Keep the design simple and clear so there’s no question where the eye should be drawn. Do all of the above and your CTA will be far more compelling—before you even write a word of mortgage, real estate, or insurance content. Now that you have the visuals down, let’s think about the emotional level of the CTA. 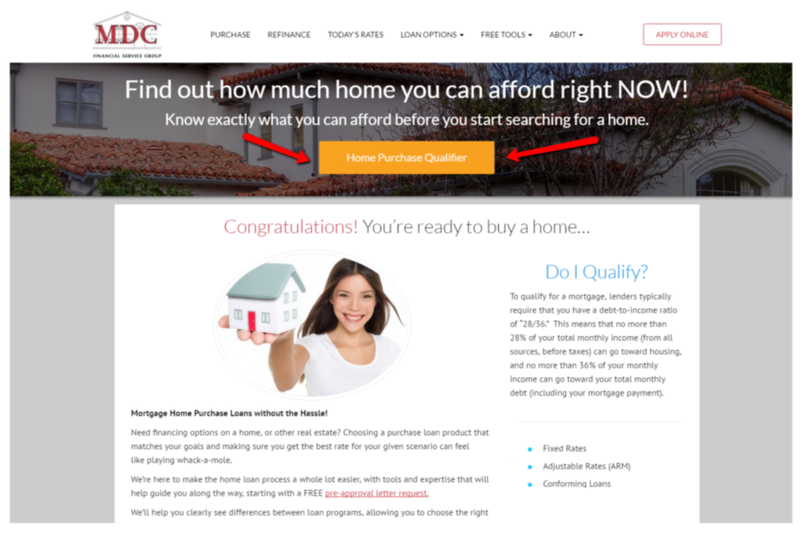 What emotion do you need to feel to click something like “Home Purchase Qualifier” or “Click Here to Receive Updates”? Simple. You need to feel urgency. Specifically solve a problem your user is facing. For example, a mortgage calculator is a tool that people can use in order to resolve the questions they had about their mortgage situation. Define a problem that the CTA solves. Using mortgage web page above as an example, the content reminds the user of the importance of knowing precisely what they can afford. The CTA is the next logical step forward. Urgency is generally created within the content itself. So before you write the CTA or even the content above the CTA, consider your potential client/lead and what specific problem they need solved. Write for them, and urgency will be created as a natural result. Whatever it is, you’d better be sure that it’s enticing. If you don’t have any of these tools, think about what it is that most people in your industry ask for when they first call you up. Are they looking for a free rate quote? Are they looking advice on a specific scenario? Cater your incentive to the market and you’ll find that your CTA automatically becomes more efficient in drawing users. 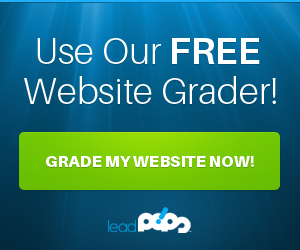 And sign up for a free trial of leadPops to ensure you can create the landing page necessary to facilitate this call-to-action. If you write clean, simple content, you’re already off to a good start. But you also want that content to be compelling. What does this mean, exactly? Think back to the idea of creating urgency. What can you write on your CTA that will create urgency in the mind of your web site visitors? This hardly feels like a CTA, but it is. It’s a button that prompts someone to move to the next step in your conversion funnel. Compelling content should be simple, clear, but also incorporate words that suggest that what they’re looking for will be solved—and solved quickly. Finally, if you want your CTA to really shine, you should have it on its own page. Using a landing page for your CTA is great because it allows you to optimize every single element of that page around getting the CTA noticed. It also reduces “decision fatigue” because your visitors aren’t choosing from fifty links to click. Instead, they only see one step forward: your CTA. This is particularly effective for tools like free guides, reports, and quotes. A landing page that is dedicated specifically to that one function won’t ask too much from its users—only that they participate. The result? The user feels incentivized to click ahead. That means higher conversion rates for you, turning more website visitors into potential leads for your mortgage, real estate, or insurance business. Put it all together and you’ll have a vastly improved web presence. Elements like urgency, effective design, and compelling copy that focuses on the problems of the user will make your website far more valuable for them—and far more profitable for your business. Don’t forget to try a free trial of leadPops to incorporate these same strategies today!